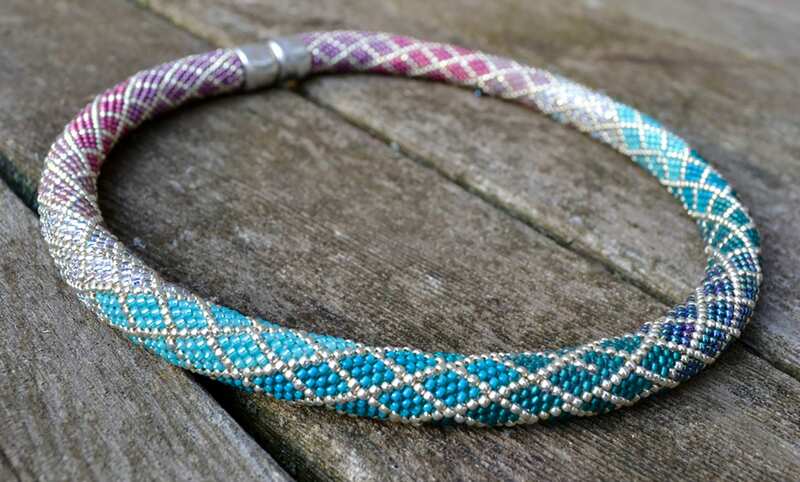 Ombre Necklace - 2 Patterns to make a necklace & Instructions using Single Stitch Bead Crochet. Pink Purple Colorway and Teal Peach Colorway patternsincluded. 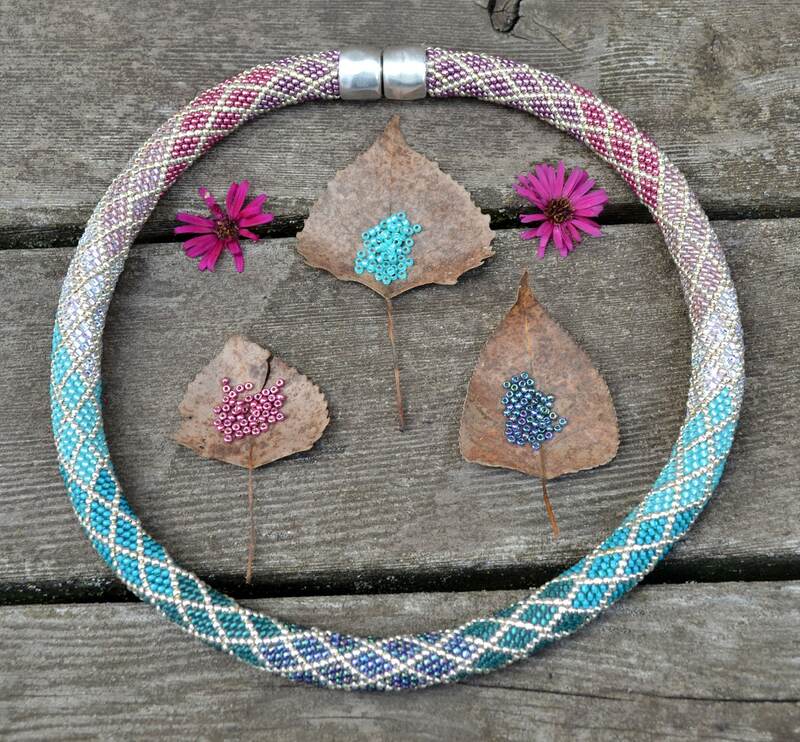 This necklace is crocheted in 16-around and this 2-pattern color way is a downloadable document. 4 DOCUMENTS INCLUDED - Necklace Pattern with 2 COLORWAYS, Instructions on how to crochet the bracelet, including many pictures, "How to Join thread," "Helpful Hints" pdf files and a starting picture. Crochet this necklace using the Single Stitch bead crochet method in an 16-around pattern. Using size 11/0 seed beads, string-on the seed beads in the chosen pattern, then crochet using the single-stitch technique. 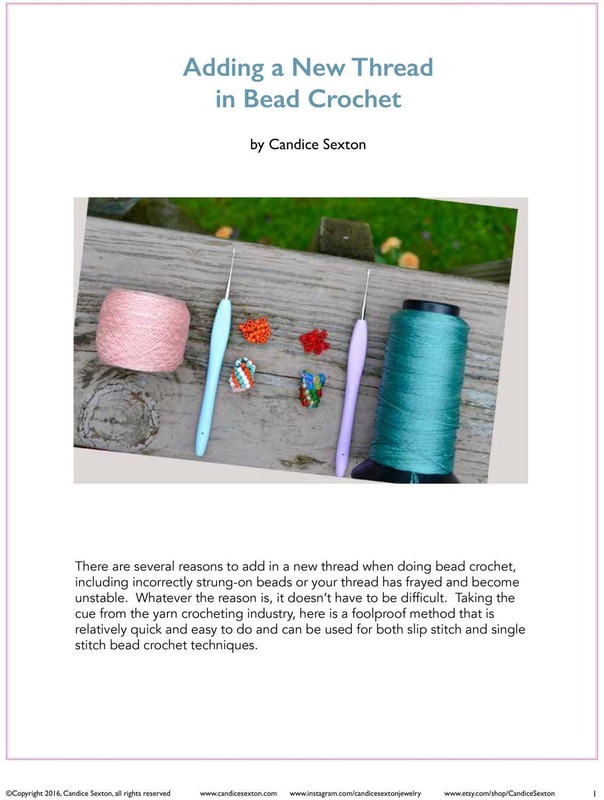 YOU ARE PURCHASING 5 DOWNLOADABLE DOCUMENTS - 2 Necklace patterns in one document, full how to crochet instructions with many pictures, bonus files on how to join threads when crocheting, helpful hints document and image showing the starting section for reference. 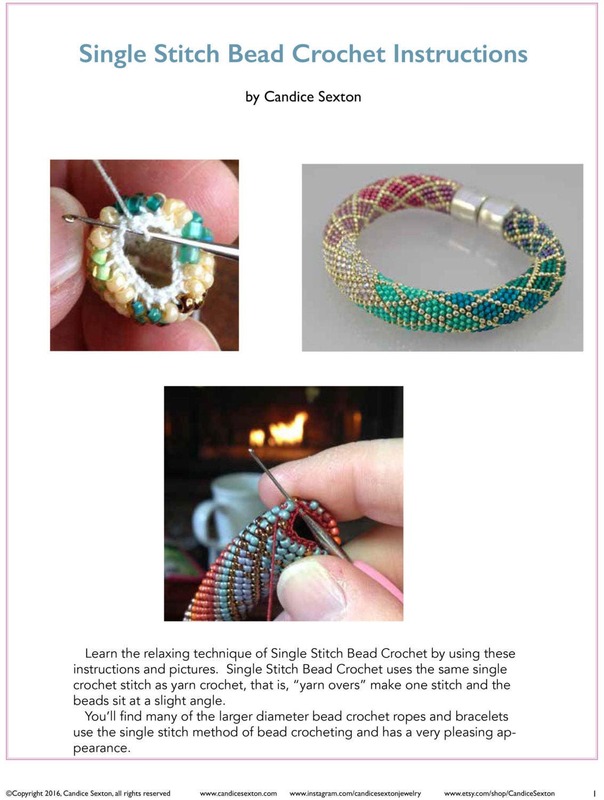 2 Patterns with all seed bead colors and weights and full stringing charts included. Bead Kits for this necklace pattern and colorway are sold separately from this pattern and available on this site. Kits are perfect for saving time, getting the exact colors and materials to use with no hassle! 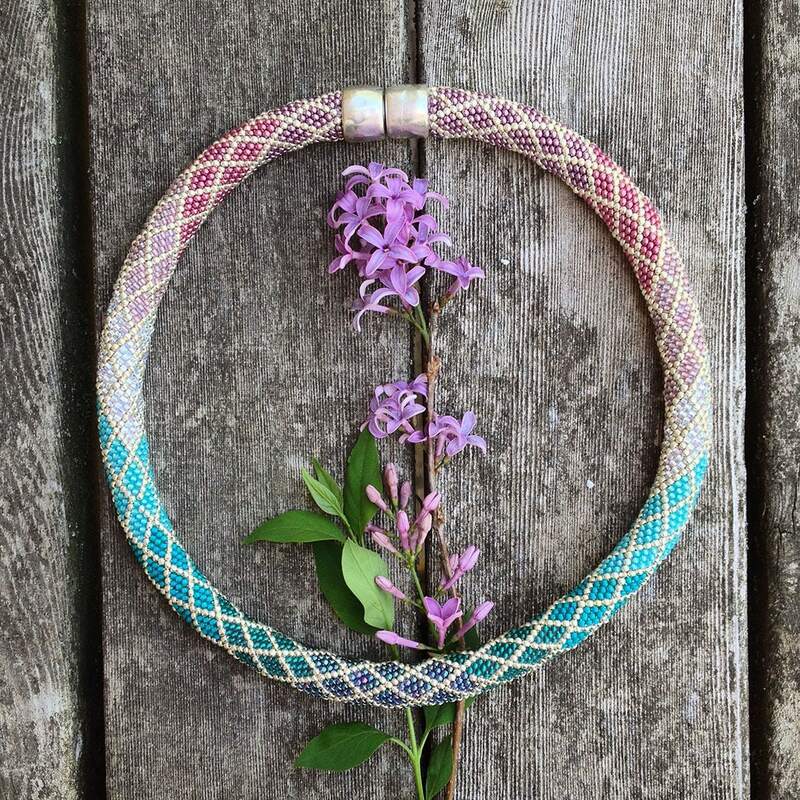 NOTE: No materials are included in the purchase of this pattern. THIS IS A DIGITAL PURCHASE. I accept all Paypal and credit card payments via ETSY site. I do not accept personal checks or money orders at this time. Same day payments are greatly appreciated. Indiana residents will be charged 7% sales tax upon checkout. Please consider your skill level when purchasing each kit. No returns will be given on purchased items unless defective. Please convo me if you have a problem with your item. Please convo me if you have any special requests on crystal, seed bead or pearl colors, and I will do my best to assemble an exceptional color scheme for your kit!